APSI is a service company that provides analysis/design, scientific software development, test engineering and facilities operations/maintenance, and information technologies. APSI was incorporated on March 27, 1998 as a small disadvantaged business and received Small Business Administration 8(a) certification on November 30, 1998. Initially AP Solutions, Inc. was started to provide technical expertise to facilitate technology transfer and product improvement for clients through the use of advanced computational codes developed by NASA. Dr. Reid is founder and President of AP Solutions, Inc.
AP Solutions was incorporated in March of 1988 as a small disadvantaged business and received Small business Administration 8(a) certification on November 30, 1998. AP Solutions provides engineering research support to NASA Glenn Research Center in the area of gas turbine engine technology, and also provide some support in this area to GE Aircraft Engines, Pratt & Whitney, Honeywell, Williams International and Power Systems Manufacturing. 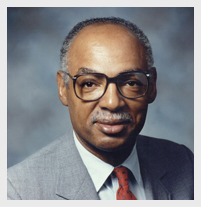 Dr. Reid previously served an Director, Aeromechanics Department for the Engineering Services Division, NYMA, Inc.. In this position, he was responsible for providing research support to the NASA Lewis Aeronautics, and Microgravity Science programs. This research activities included the development and application of computational fluid dynamics and conducting high quality fundamental experiments for physical modeling, and the validation of computational fluid dynamics codes.